Need some simple no-cook meal ideas for this crazy heat? Here’s a cool idea (cool being the operative word!). Try using collard greens instead of wheat tortilla wraps. Collard greens are a powerhouse vegetable and the perfect packaging for your favourite bites. They support detoxification by promoting Phase 1 and 2 detox pathways in the liver. They have antioxidant capacity, acting as an excellent source of vitamin C, E, beta carotene and manganese AND they provide anti inflammatory benefits (vitamin K and omega 3 in ALA plant form). 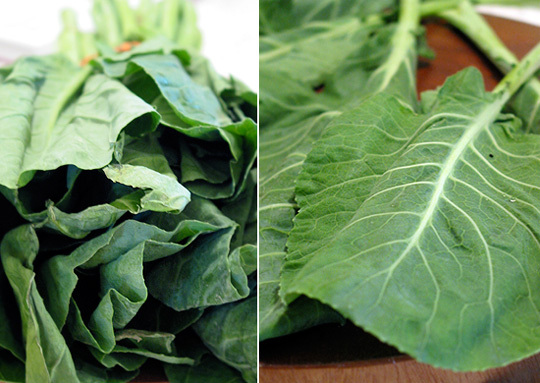 Collards are also high in fiber that will also promote proper digestion and help to lower cholesterol. Whether you’re trying to limit your starch intake, avoid gluten, eat more greens, counteract your summer indulgences or just avoid using the stove in this crazy heat, collard greens are worth a try! No need to steam. Just wash, pat dry and de-stem these big green leaves and stuff with whatever you like. 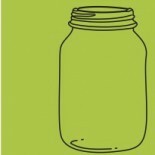 This entry was posted on June 20, 2012 by katelivingfull in Nutritional info, Savoury Recipes and tagged anti inflammatory, antioxidants, dairy free, gluten free, pesto, tahini.